2WENTY 4OUR: F.A.A.D.A. 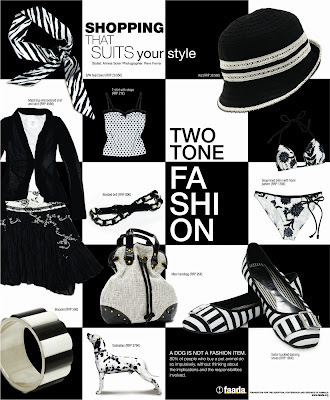 Fashion Accesories! The fact which FAADA, the Foundation for the Adoption, Patronage and Defence of Animals, provided Contrapunto with was absolutely decisive: 80% of the people who purchase an animal do it on impulse - people who act on the same impulses as those involved when buying a bag, a pair of earrings or a T-shirt. FAADA is making a call for the prevention of the problem which in many cases results in the abandonment of an animal. 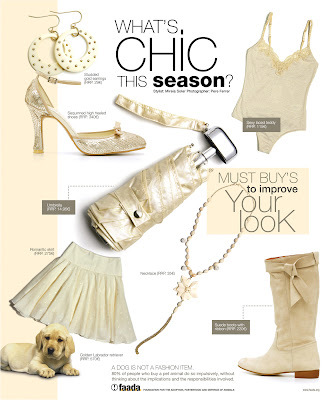 It is for this reason that Contrapuntoused the layout of a fashion magazine, in which the most in-fashion accessories of the season appear, as a creative resource and where they included an animal as if it were just another item of purchase under the claim "A dog is not a fashion accessory." The publication of this graphic design was done in fashion magazines to achieve the greatest effect of the protest.